What You Didn't See in "Iron Man 2"
The obsession with "Iron Man 2" began when the first trailer dropped. You know, the one featuring Robert Downey Jr. and Gwyneth Paltrow flirting up a storm before he jumps off a plane and flies into a convention. But many of theater-goers at the record box office weekend must have wondered, what happened to that scene? Was it just a mirage? Actually, after all its playful promise, it ended up on the cutting room floor. 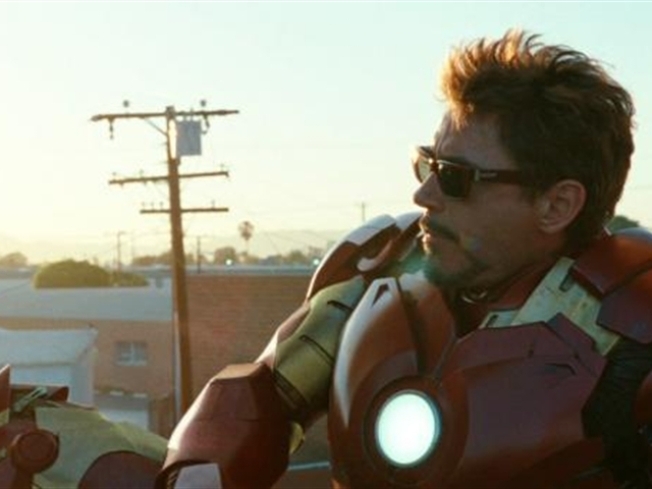 Director Jon Favreau said he wanted to introduce Iron Man on the expo stage instead of flirting with Pepper Potts on the plane before sky-diving into expo. "That was something that was a great image and we love the scene," said Favreau. "But we had two different versions of it and because of the pacing and the way that we reveal Tony Stark it felt really good to flow into the drop down and reveal him for the first time on stage." Favreau added that "often times in the editing rooms" these decisions are made. It was news to Gwyneth Paltrow who looked stunned sitting next to Favreau at the press day when she heard the news. "Gwyneth is just finding out the scene was cut, Jon," Robert Downey Jr. added with a laugh. "You might be a little more sensitive." Don't worry Gwyneth and fans of the scene. Favreau promised the scene would end up on the DVD. Somewhere.